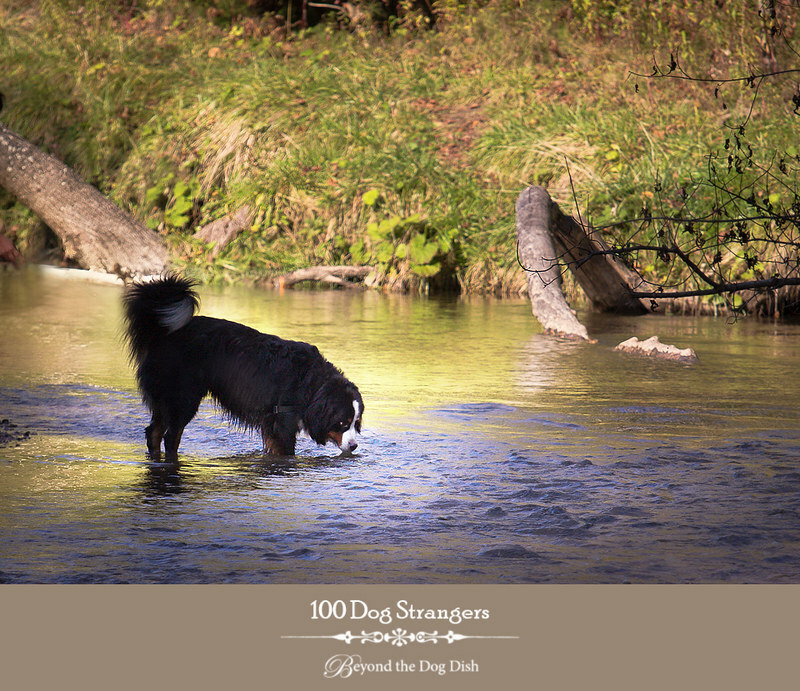 Beyond the Dog Dish: 100 Dog Strangers ~ Fall Finds! 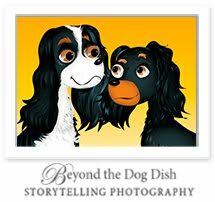 I have now photographed 25 dogs for my series "100 Dog Strangers". I think the hardest part is I am photographing dogs on the move sometimes without their owners knowledge. Part of the fun is the fact the captures are quick so there is not much time to compose or change camera settings - it sure is challenging! Earlier in the fall we hiked down to the lake at Darlington Park. Along the way we met a young Labrador/German Shepherd mix bouncing along the gravel trails with his owner. He had a quick step and did not make my job easy to capture his photograph. Back in my 20's I owned a Doberman. He was not a popular addition to our family. Gucci was found at a horse show in Quebec. My sister thought is would be a great idea to take my winnings from the Hunter's Classic and buy this puppy. Problem was we were on the road for the next 3 weeks so picking up a dog along the way was not a very well thought out plan! Then there was the problem of telling our parents when we got home. Suffice to say they were not happy nor was our 13 year old Lab Cinder. The puppy was a bit too much energy for her as she was going blind. 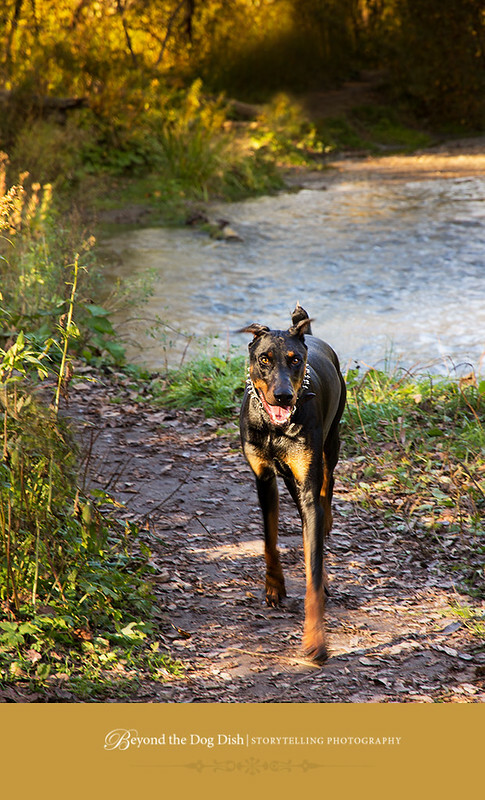 This Doberman I met along the path might have been a mix or perhaps he was just unusually tall. We found him coming out of the dog park at Greenwood Conservation in early October. Farther down the path was Duffins Creek, and here we spotted a thirsty Bernese Mountain Dog. I think the owners were very brave or this guy was extremely well trained, because dead salmon was everywhere. I made my get away before he decided to come greet me and shake off! 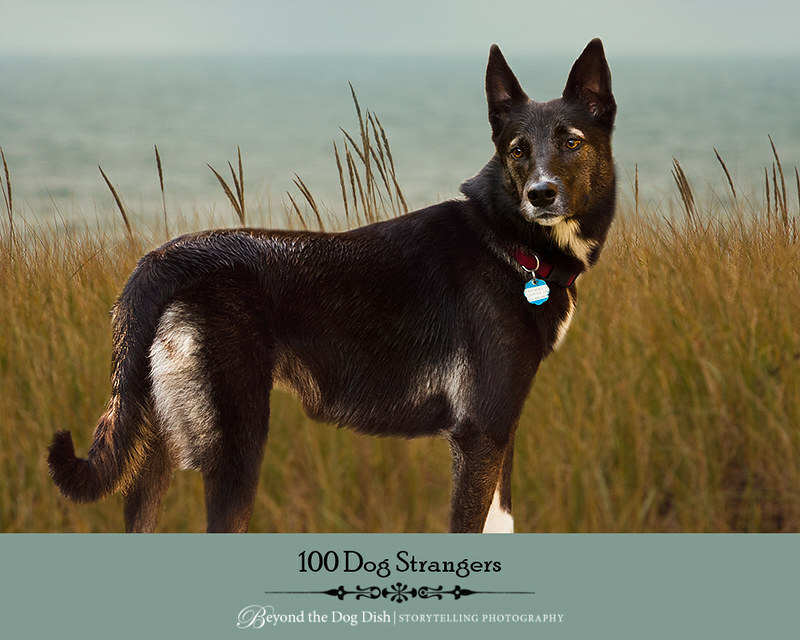 I do not know anyone else doing a 100 Dog Stranger series - let me know if you are or if you know of someone else doing it. I got the idea after seeing a FlickR group for 100 Strangers - they have over 9,000 members who are braver than me doing street photography of people they find interesting. Some silently take photos, others talk to them first to get a feel of who they are before asking to photograph them. If you are braver than me, you might want to look over the group. For now I am more comfortable with the dogs - they know what a camera is and eagerly stop and pose! Neat project that you have taken on. I find animals really hard to capture because they always move right as I go for the shutter. Great work!